It’s funny, August just ended but it already feels like the summer is over. The sun does not shine as high in the sky, and its passage through our garden gets narrower and narrower every day. Our garden plants are starting to look tired, some are still producing fruit, but not at the same pace they kept just a couple of weeks ago. 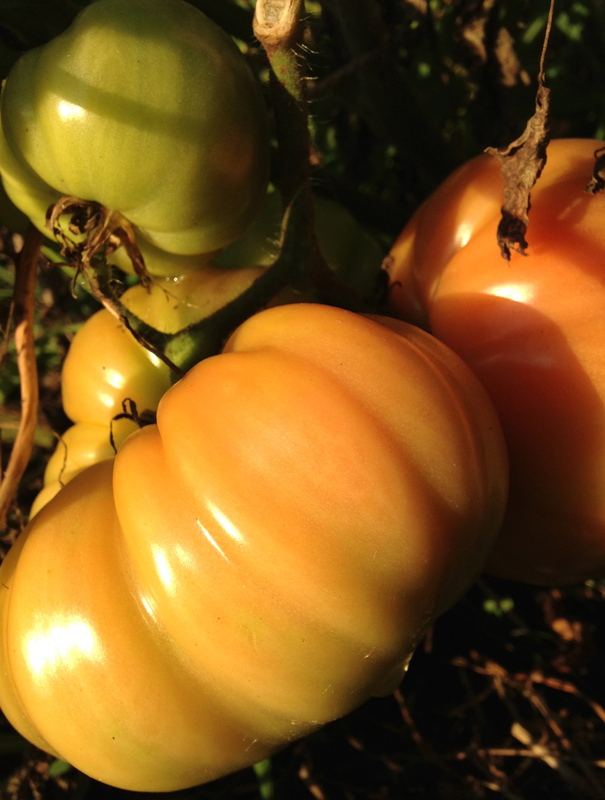 Last week our cherry tomato plants were looking very scraggly, we were still getting quite a good production every day (1.5-2 lbs/day), but we noticed the tomatoes were not ripening to a deep red, and the fabulous midsummer flavor was no longer there. 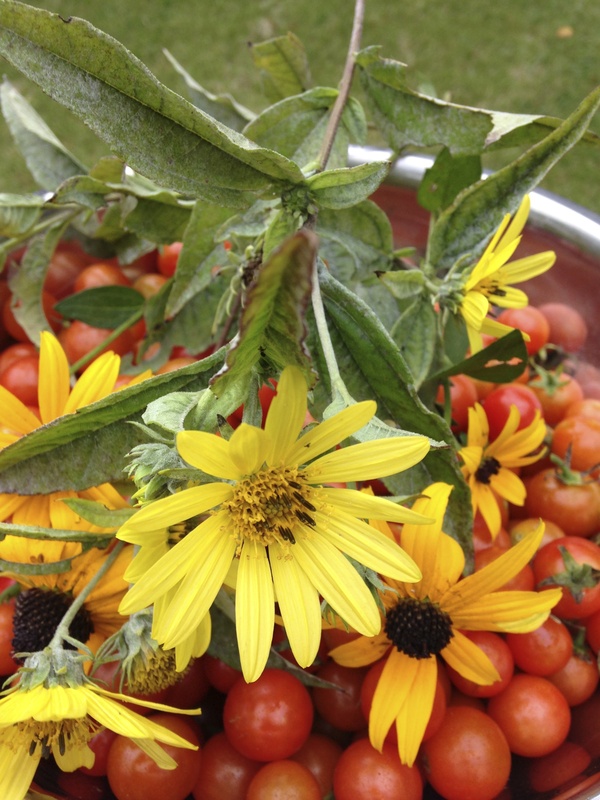 At the end of last week, I decided to cut all our cherry tomato plants and put them in the compost pile. 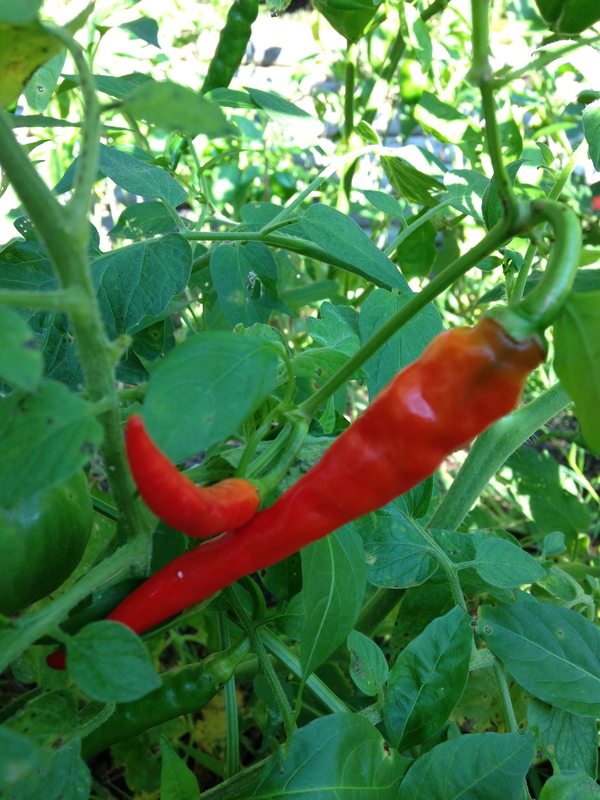 Of the vegetables that we planted in the spring, we still have in production: broccoli, eggplant, hot and cubanele peppers, and of course basil. 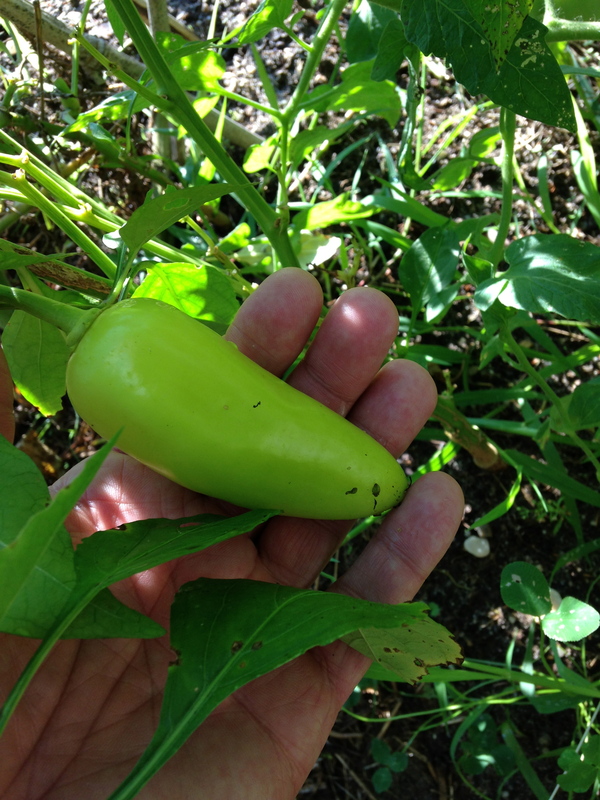 We are also getting a few green peppers (no bigger than a plum), and some giant tomatoes that volunteered from seed left on the ground the past year. 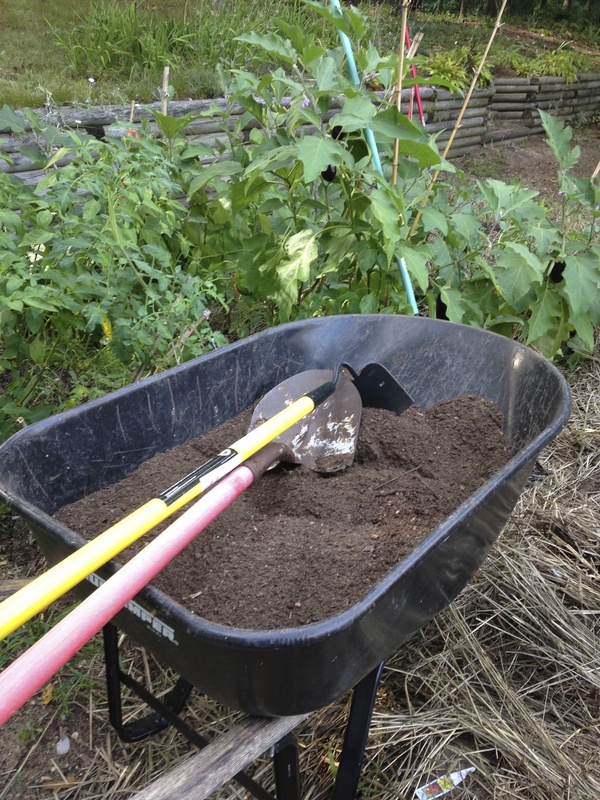 Back in July when the original lettuce, cucumber and zucchini production had started to dwindle, I had made a decision to continue gardening until it was no longer possible. 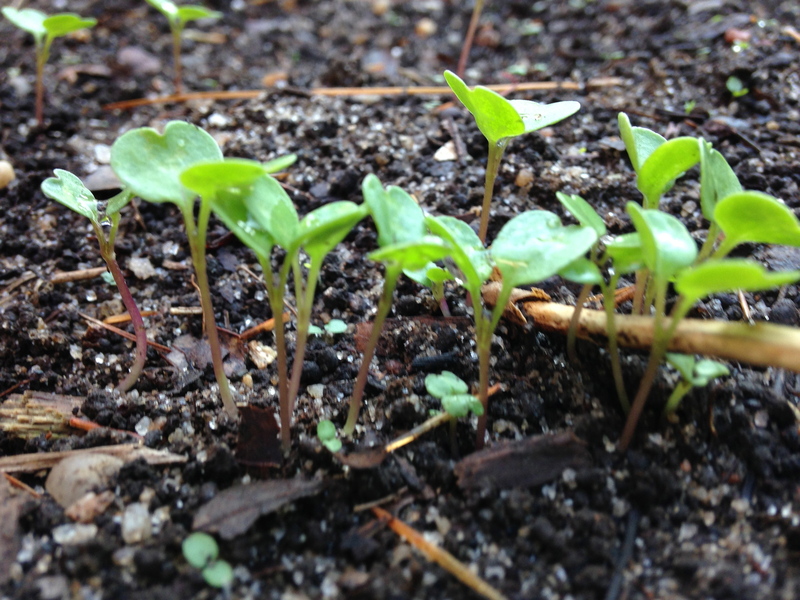 I had then started seeds in newspaper pots which I had later put into the ground. 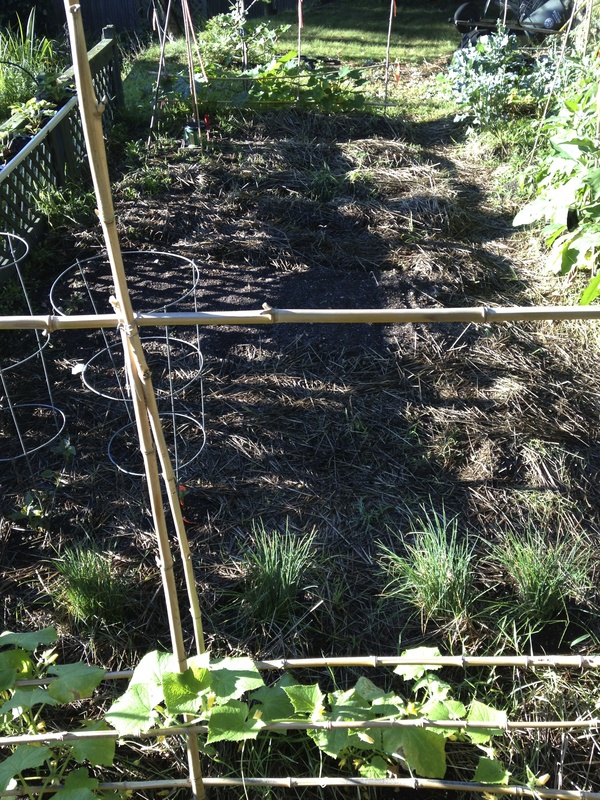 With the cherries now gone, a large space opened up in our garden so I turned up and prepared a 6’ X4’ section and planted several varieties of lettuce and spinach, with the hope of having good tasty salads far into the fall. 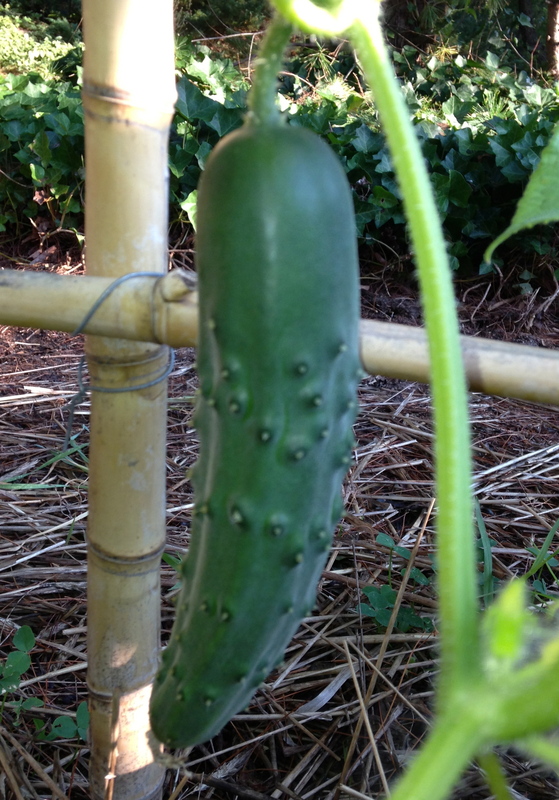 From the seedlings I had planted at the end of July, we are now getting some cucumber, even though I fear it may be getting a bit too cool for them. 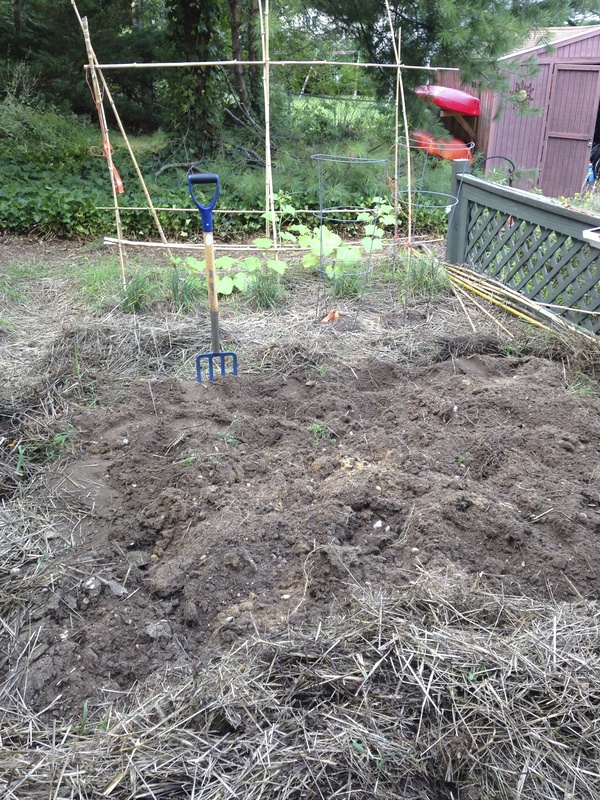 The turnips look decent so far, but will not know how they really are until I dig them up later in the fall. 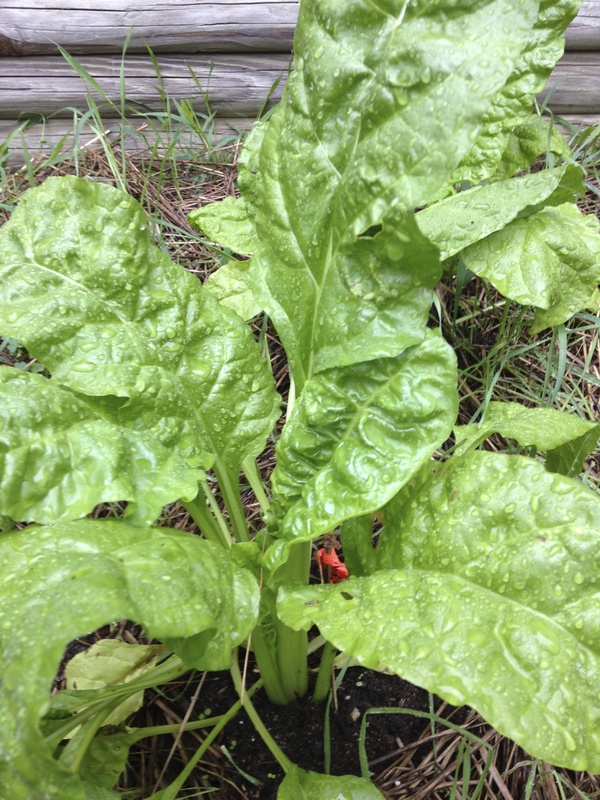 The chard and spinach are both doing well, but the Kholrabi keep getting chewed by bugs and/or rabbits (it is amazing how large a population of wild rabbits and deer we have on Long Island). 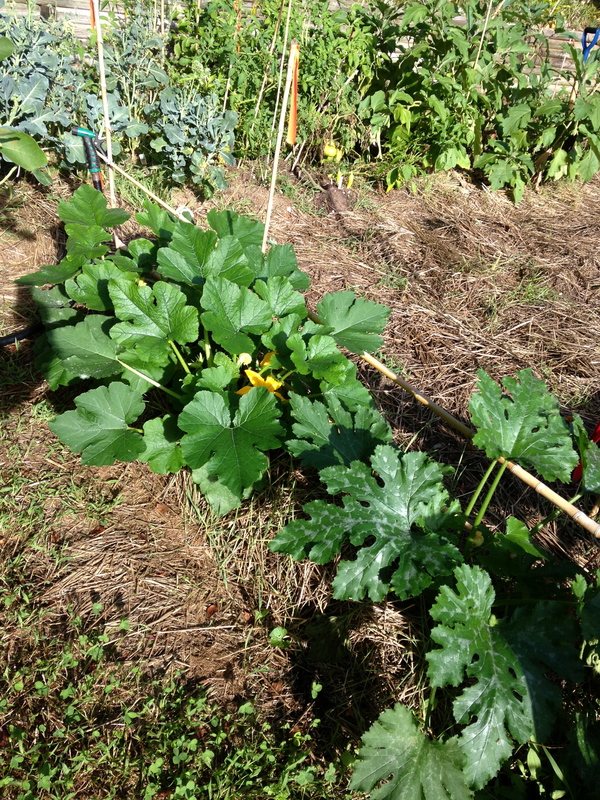 In July I had also started 2 plants each of spaghetti squash, pumpkin and zucchini. 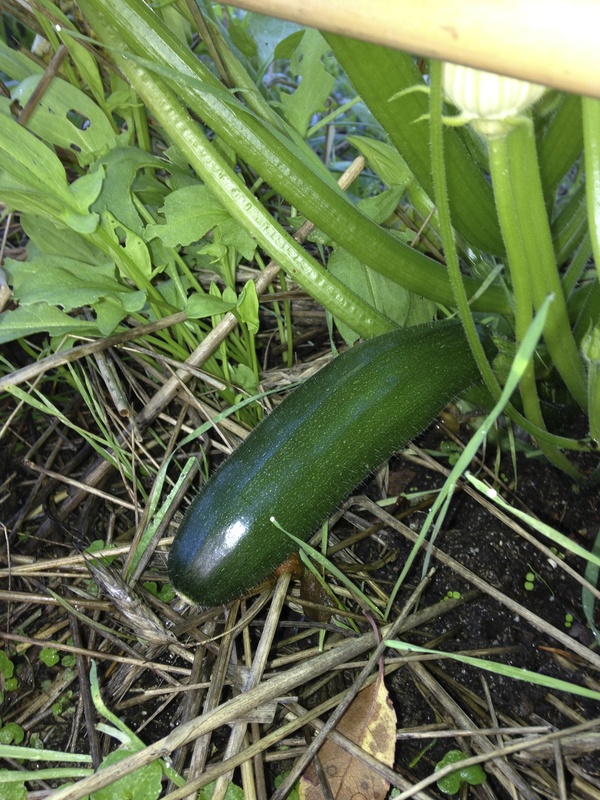 I had figured out that their production was going to be more than enough for us and perhaps to give some away… One day I noticed one of the zucchini plants had stopped growing. I tried different things to help it, but in the end it wilted and died. 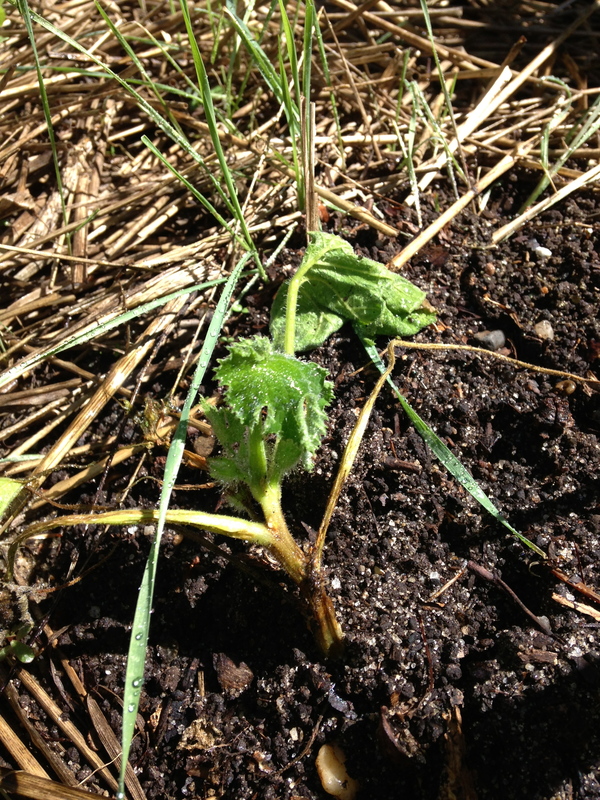 It turns out my garden also obeys Murphy’s Law. 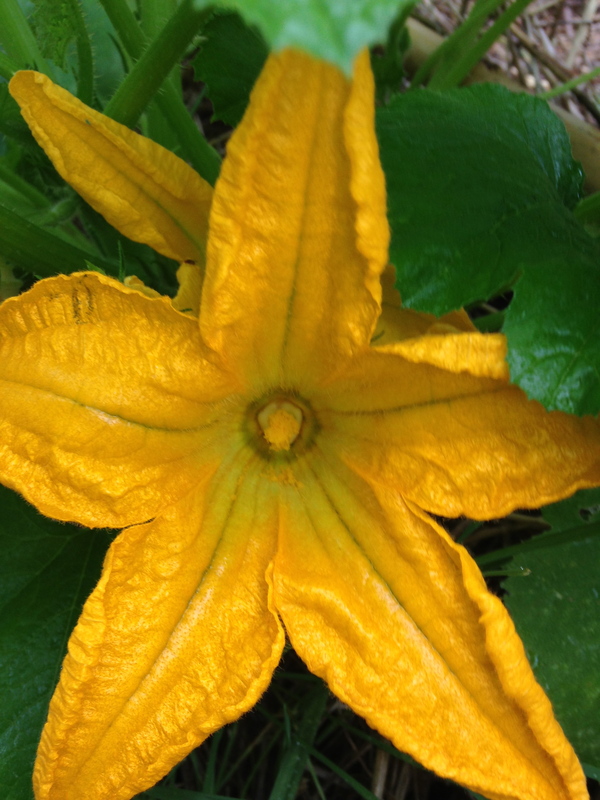 At that point I started to get concerned about my zucchini production, as I remembered having to scramble from plant to plant looking for suitable flowers to gather pollen from, or to pollinate at any one time. 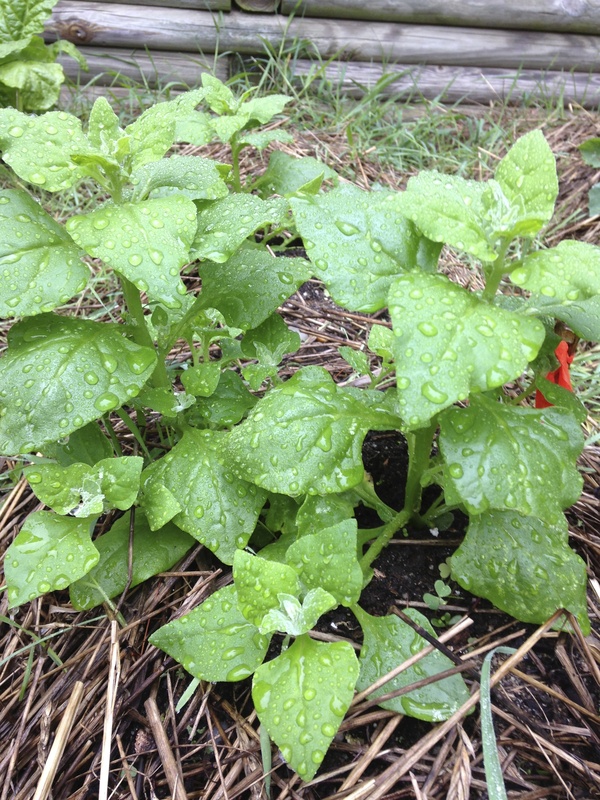 My concern escalated the morning I got up and saw one female zucchini flower in the garden, and no male flowers in sight. 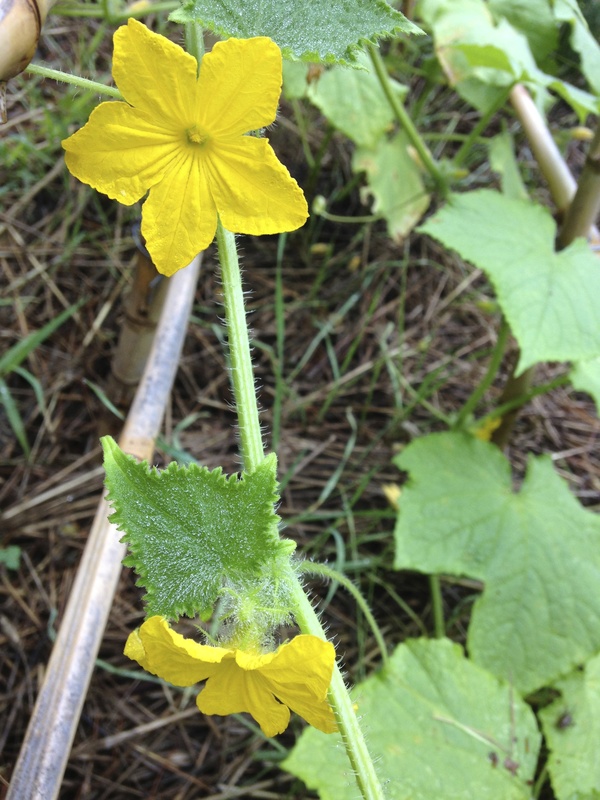 Next to it, however, was a spaghetti squash plant with a couple smaller male flowers that closely resembled those of the zucchini. 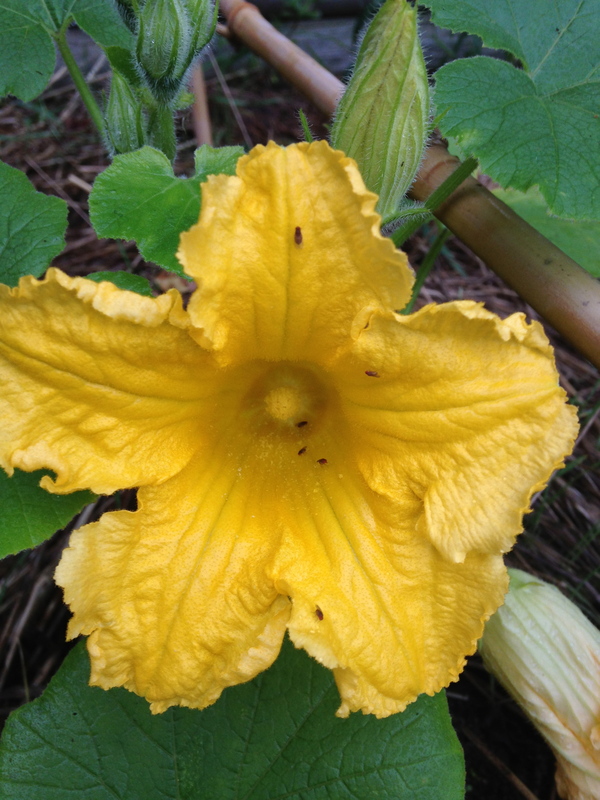 I thought about the implications, and soon realized that If I had been a bee, I would have already done what I was thinking about doing, so I used the pollen of the spaghetti squash to pollinate the zucchini flower. 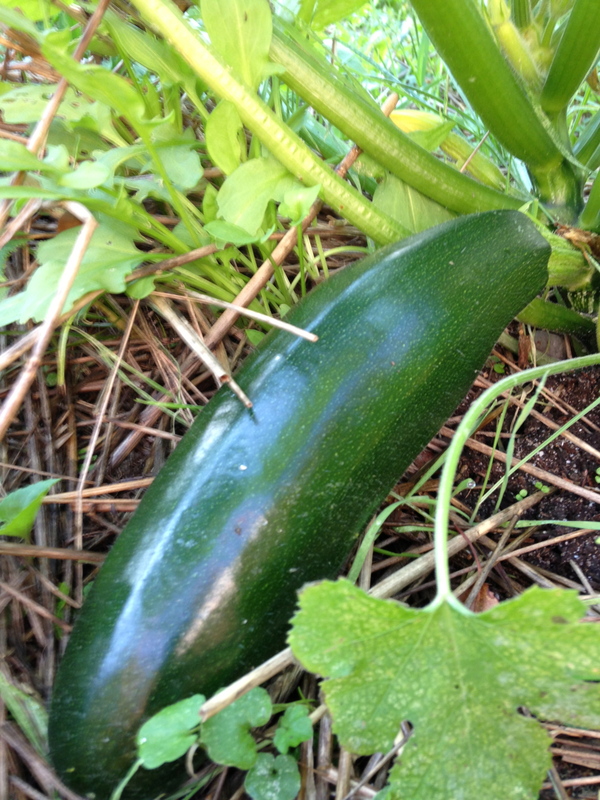 As of this morning, seven days later, my hybrid is still growing, but I do notice that the growth is not as rapid as that of a regular zucchini. I don’t know what it is going to be like, but with genes from zucchini and spaghetti it is already destined for an Italian dish. 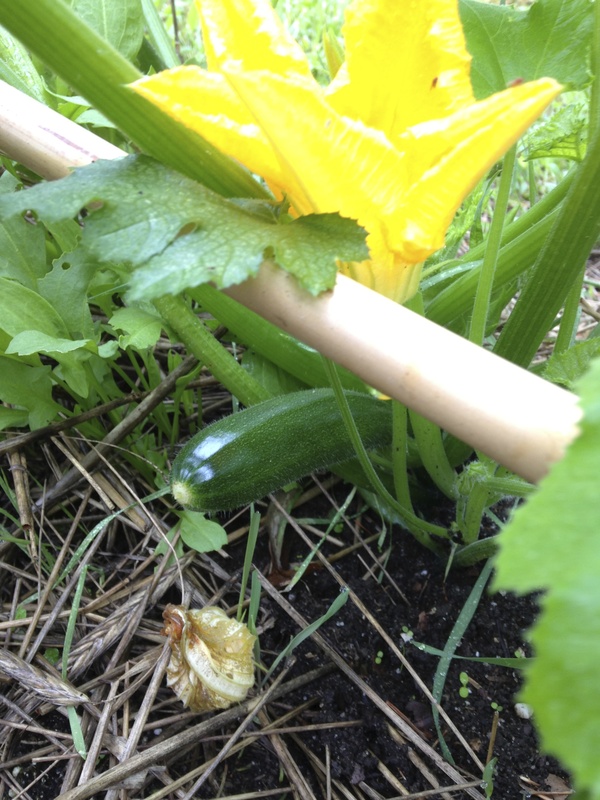 The lonely zucchini plant has not produced any other female flowers since then, but I see some tiny embryos forming now.